UNOPENED 70'S CELLOS!!! 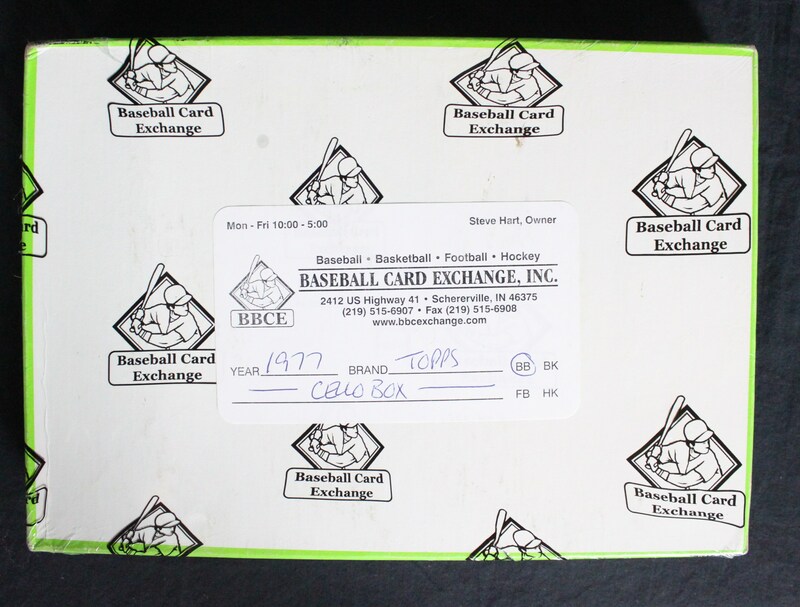 This 1977 Topps Baseball Cello Box contains 24 Cellos all with 18 cards per pack, each with a 25 cent label on top. A total of 432 cards in this sealed find. 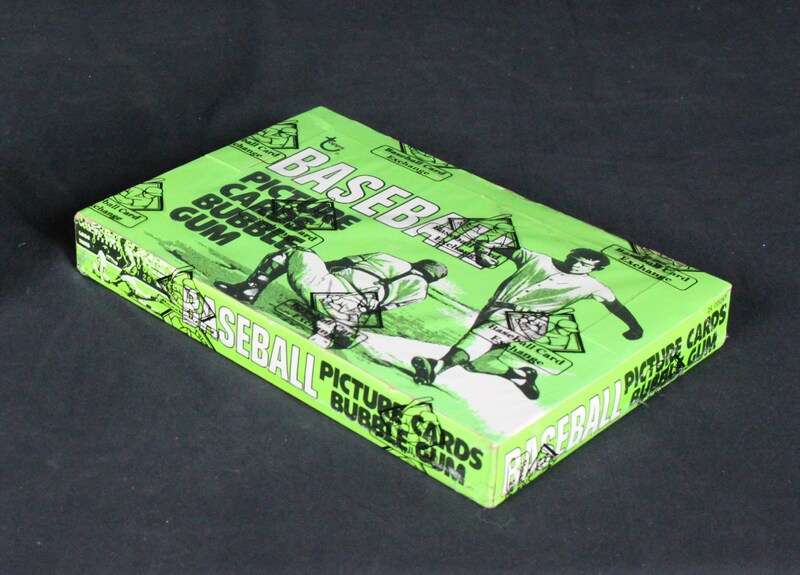 The 1977 Topps Baseball set includes rookie cards of Andre Dawson and Dale Murphy, and many other Hall of Famers including Robin Yount, Nolan Ryan, Steve Carlton, George Brett and Reggie Jackson. Tremendous upside with all of these Cellos based on PSA 10 values. How many 10's in this box?? Stars on top?? 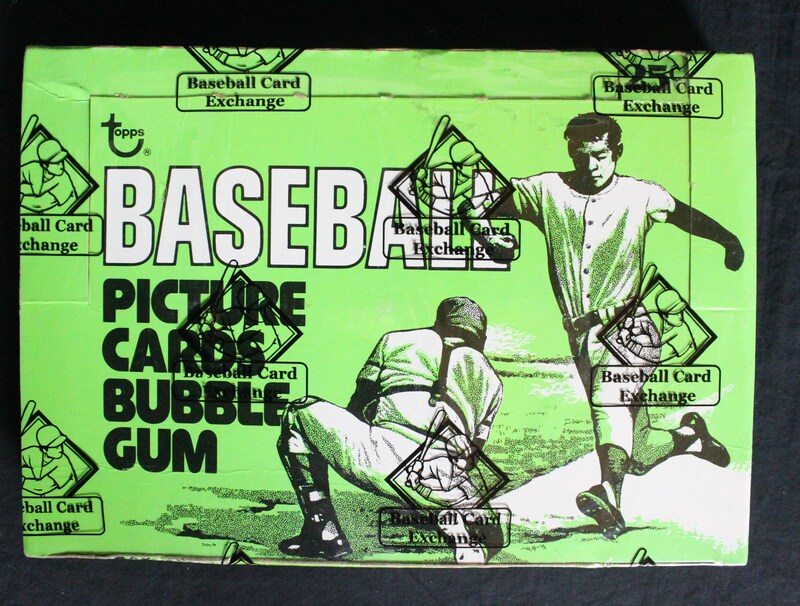 The display box comes shrink-wrapped by Steve Hart from Baseball Card Exchange. Own it and open them!! !